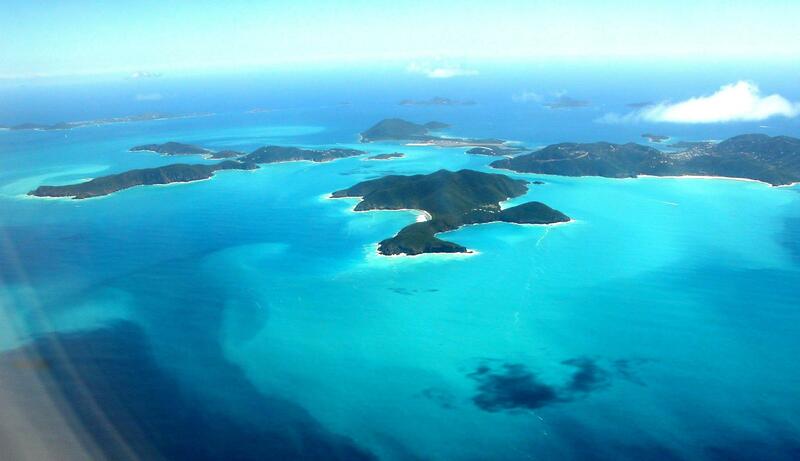 In July 2014, TRAVEL & LEISURE MAGAZINE named Virgin Gorda the #1 island in the Caribbean. Is this your first trip to this precious island? You will be delighted by the picture-perfect beaches with palms swaying in the breeze. You’ll find expanses of sand reaching out towards turquoise waters. You won’t find trash on these beaches, vendors selling you woven hats, or crowds lying on the sands lined up like sardines in a can. 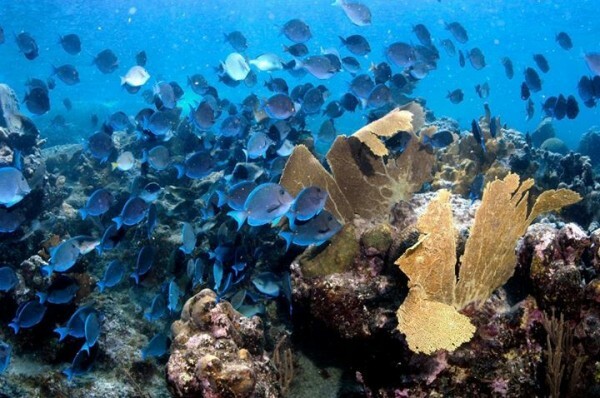 Explore the fourteen beaches easily reached by car and on foot – and you’ll be rewarded by some of the best snorkeling in the Caribbean with fabulous coral reefs and sea fan gardens. You’ll likely swim along with a sea turtle or colorful parrot fish in abundance. 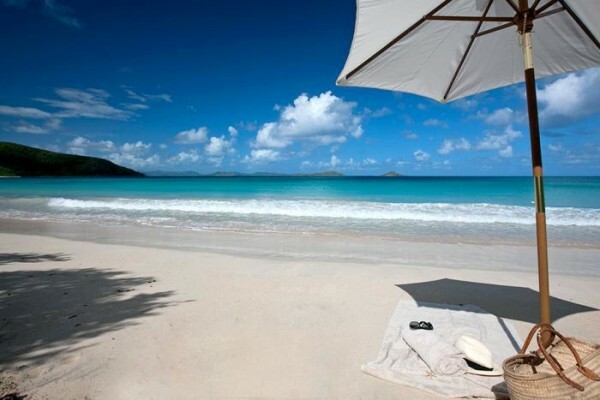 Virgin Gorda offers you the best beaches, friendly BVI locals, and often privacy, if you time your visits right. 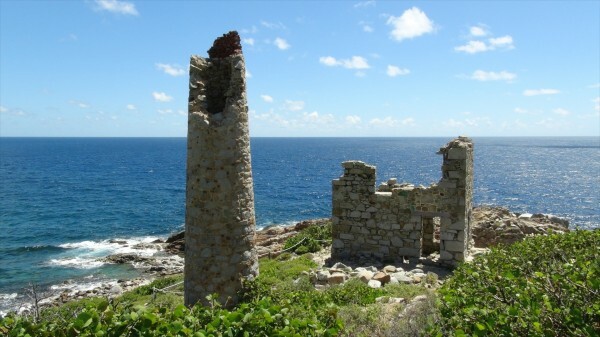 For scuba diving, Virgin Gorda offers “The Wreck of The Rhone” and numerous other sites. DIVE BVI and Kilbrides are the two excellent scuba operators with daily trips. Savannah & Pond Bay: Accessible from our villa by our kayak fleet! A 2-minute paddle from our seaside location! 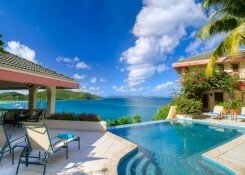 You can drop anchor off shore of A Dream Come True Virgin Gorda vacation rentals in our beautiful bays – Savannah and Pond Bay. For those who want to explore the many islands of the BVI, our staff will help coordinate rentals for a variety of watercraft available on Virgin Gorda. 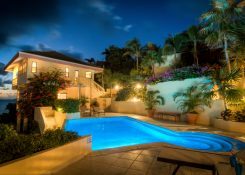 Available at the villa is a comprehensive “Guest Information Book” filled with advice on what to see and do, where to eat, restaurant menus, and special details about the island of Virgin Gorda. As your “Virgin Gorda Concierge,” we can assist with personalized recommendations for your group ~ complimentary, of course. Pry yourself away from A Dream Come True and “our” three beaches, and do visit the other 11 magnificent beaches on Virgin Gorda. You definitely want to rent a car and enjoy all that Virgin Gorda has to offer. Gather your snorkeling gear at the villa and prepare yourself to experience Nature at its best ~ under and above the water. You’ll find each beach on the island has its own character, is beautiful in its own way, and has snorkeling. You can visit two beaches a day in a typical week’s visit, and you’ll soon want to plan your return vacation! You can enjoy secluded and pristine beaches. Gather your girlfriends and come relax for a week of fun! 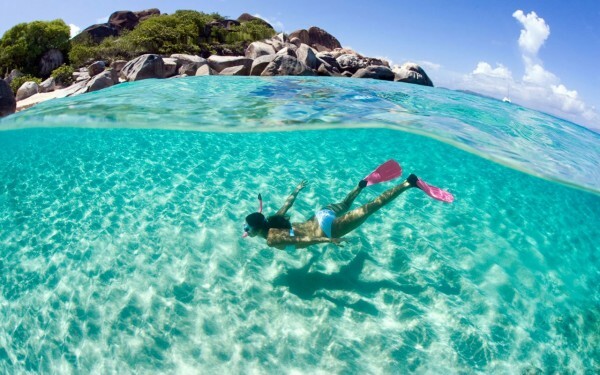 There is nothing so soothing as floating in the gin-clear waters of Virgin Gorda. Feel like a carefree kid again, and swim like the fish you love to watch. 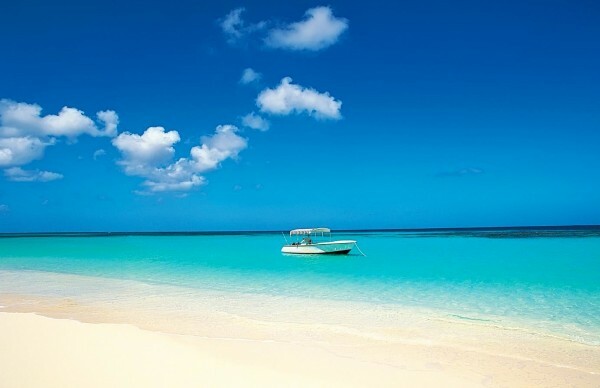 It’s so easy to find your best beach…every day of your vacation. 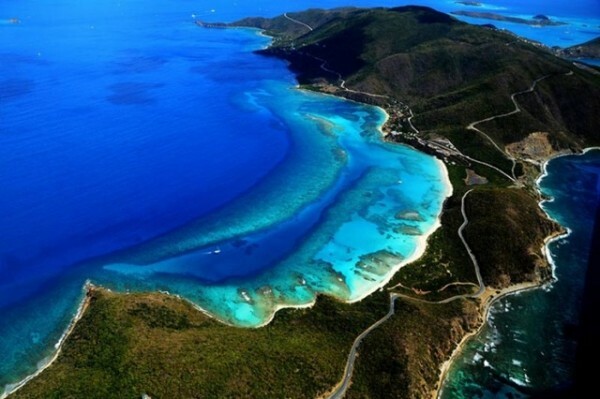 Virgin Gorda is a Haven for Water Sports! Explore the western beach coast of Virgin Gorda from A Dream Come True’s oceanfront location in our 6 double kayaks. 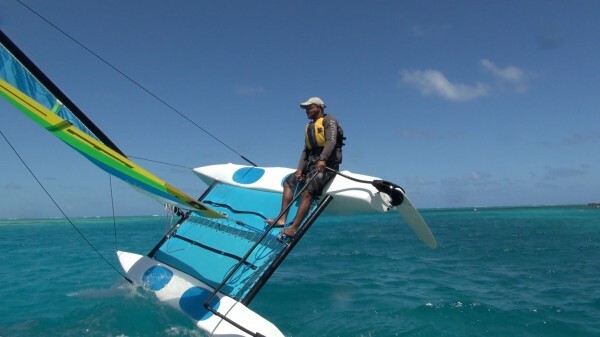 You can rent windsurfers, kite boards, paddleboards, sailboats or powerboats – with or without benefit of a captain. 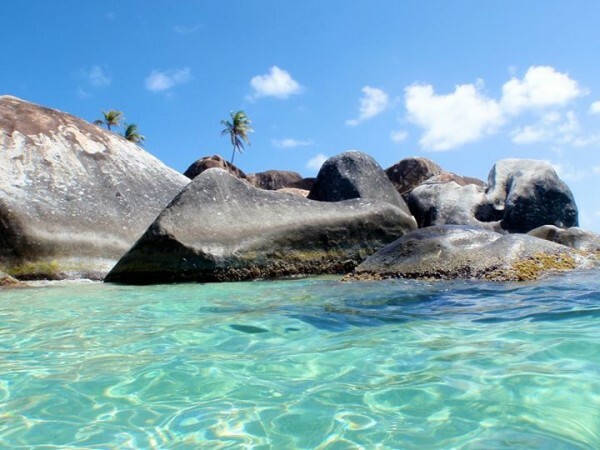 You’re never far from land when on the turquoise waters surrounding Virgin Gorda. Are you a history buff? Head out to the Copper Mine on Copper Mine Road. It’s facing the deep, blue Atlantic Ocean, and you’ll be fascinated by the tale of the Welsh miners who mined for copper long ago. See if you can spot A Dream Come True through the gap in the mountains. Afterwards, stop by “The Mine Shaft Restaurant” for free mini-golf, panoramic views of the U.S. and B.V. Islands, and some tasty conch fritters. Sunset is amazing here! Here is a link to “How to Spend a Day in Paradise,” from the Insider’s Guide to Virgin Gorda by Germaine Fritz. There is an active live-music scene in Virgin Gorda. During high season, most restaurants have music one night a week. Check ads in the WELCOME MAGAZINE for their schedules. In low season, call in advance. Check out The Rock Café, Chez Bamboo, Little Dix Resort (Morris Marks), The Coppermine, Sugarcane, Leverick Bay Resort (Friday night buffet with Jumbies), among others. There are several resorts in the waters surrounding Virgin Gorda’s North Sound, and on Virgin Gorda but only accessible by complimentary water shuttles, that are eager to bring you to their locations. This offers you a change of pace, a free boat trip on Virgin Gorda’s turquoise waters, and a chance to shop in a variety of small boutiques. Go for lunch or dinner, and use their beach and oceanfront. You must have a reservation for dinner. Check your WELCOME MAGAZINE for the phone numbers of each establishment. They are delighted to provide transportation for you. 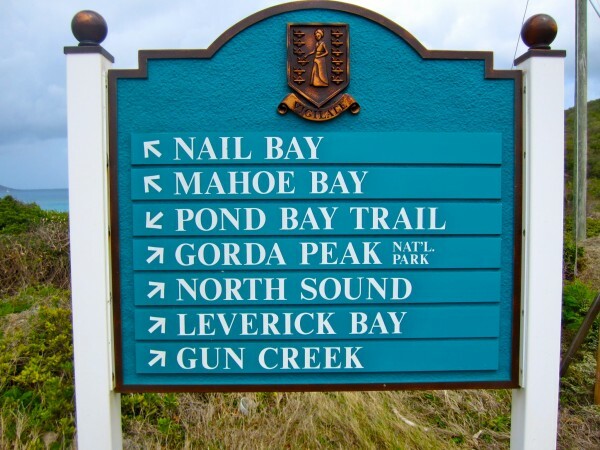 The shuttles leave from Gun Creek in North Sound or Leverick Bay Resort’s Marina dock in North Sound. You need a reservation for the water shuttle. If going for dinner, you will usually be offered one seating. Options are: Saba Rock, Biras Creek Resort, The Bitter End, The Fat Virgin (sandwiches), and Yacht Club Costa Smeralda.